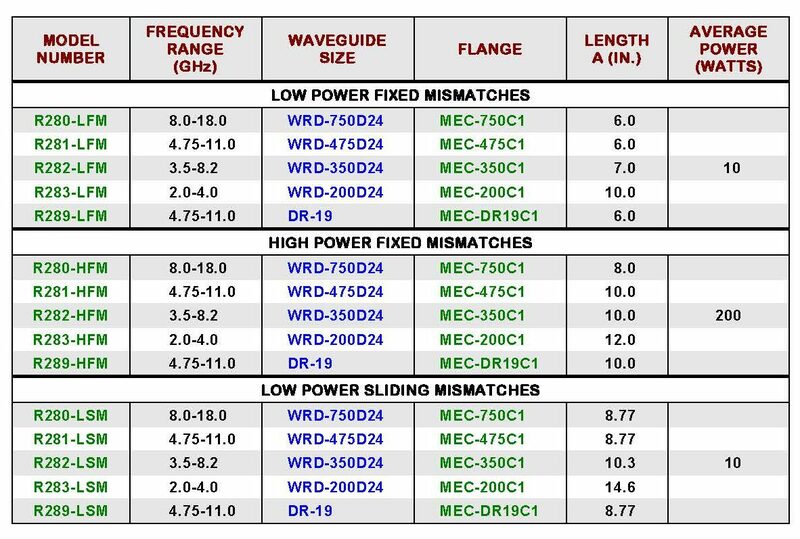 M.E.C.’s R280 Series of standard mismatches is designed to produce constant VSWR over an octave or more in frequency bandwidth. Both Low Power (L) and High Power (H) units are available with Fixed Mismatches (FM). The Low Power (L) units are also made with Sliding Mismatches (SM), permitting phase adjustment over a half waveguide wavelength at the lowest operating frequency. VSWR accuracy of all models is within 1%. Common applications for these parts include, but aren’t limited to, the calibration of slotted lines, reflectometer systems and similar set-ups, simulation of antenna impedance in equipment under development, and testing of microwave tubes with variable phase terminations. These units are constructed of aluminum with M.E.C. C-1 Series flanges (cover type with alternate tapped and clearance holes). The mismatched sliding elements are rigidly attached and include a fastening nut for locking at any desired setting. Units are rugged and suitable for use as calibration standards. Body finish is chromate con­version per MIL-C-5541, Class 3, and painted with epoxy enamel on external non-mating surfaces. (1) Mismatches are available with VSWR values from 2:1 to 3:1. 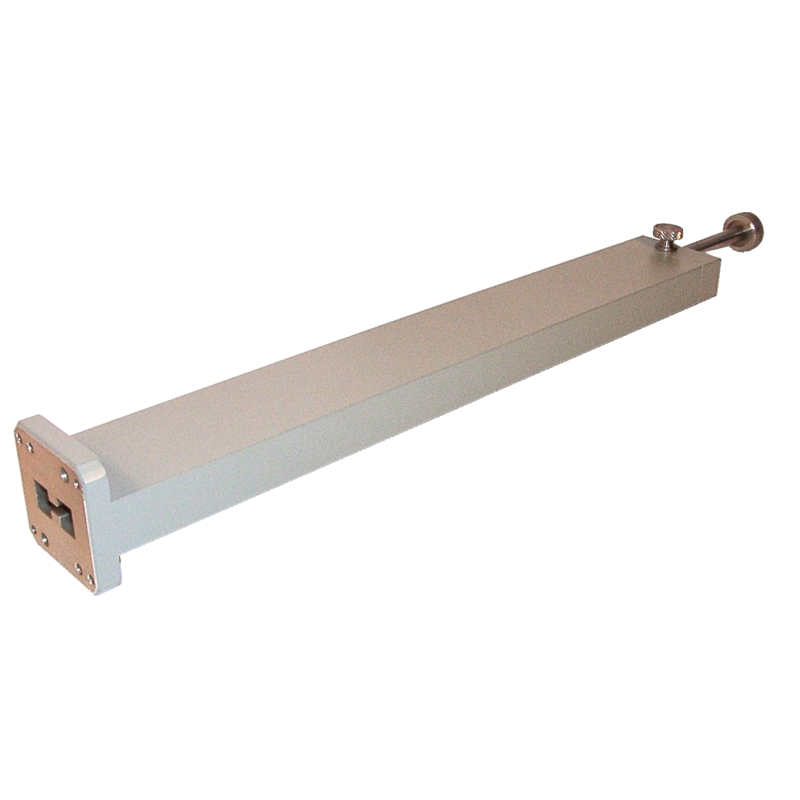 Specify VSWR and frequency band desired. (2) Other flanges are available on request, as well as fixed short circuits.